UXBRIDGE, ON – The Second Wedge Brewing has announced the release of a new beer that evokes the style of an entirely different drink. A riff on our favourite cocktail spirit, Gin Joint sparkles with juniper, angelica root, cassia, coriander and cardamom, for a jazzy swing that’s just a little off kilter. 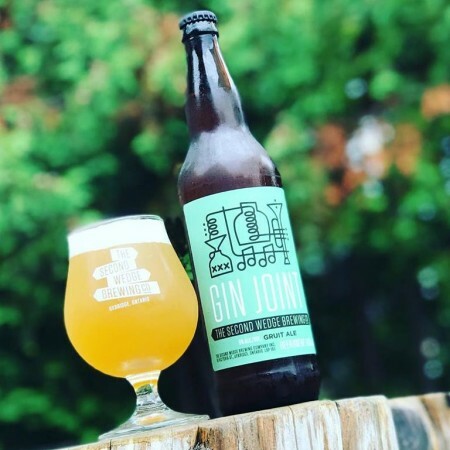 Gin Joint is available now in 650 ml bottles and on tap at The Second Wedge while supplies last.